This 9ct white gold wedding ring was created and shaped to sit next to the engagement ring without any gaps. 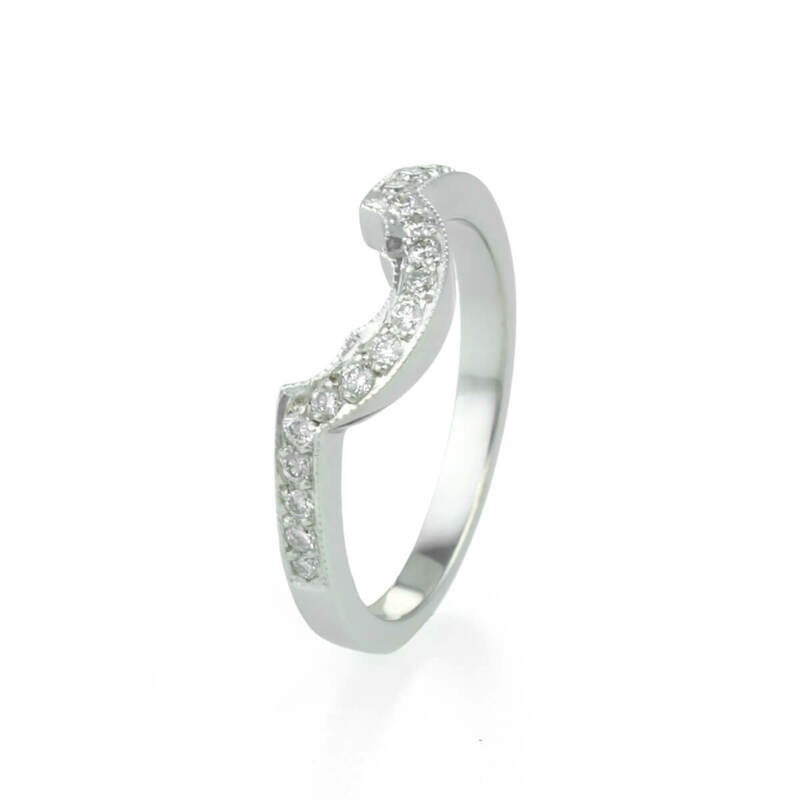 The diamonds have been set in a very traditional grain setting with a milgrain edging creating a very delicate and vintage looking ring. This wedding ring was designed using CAD/CAM. A resin was made and then cast in 9ct white gold. Once the casting is returned from being tested and hallmarked the ring goes through a process of emery paper and polishing. 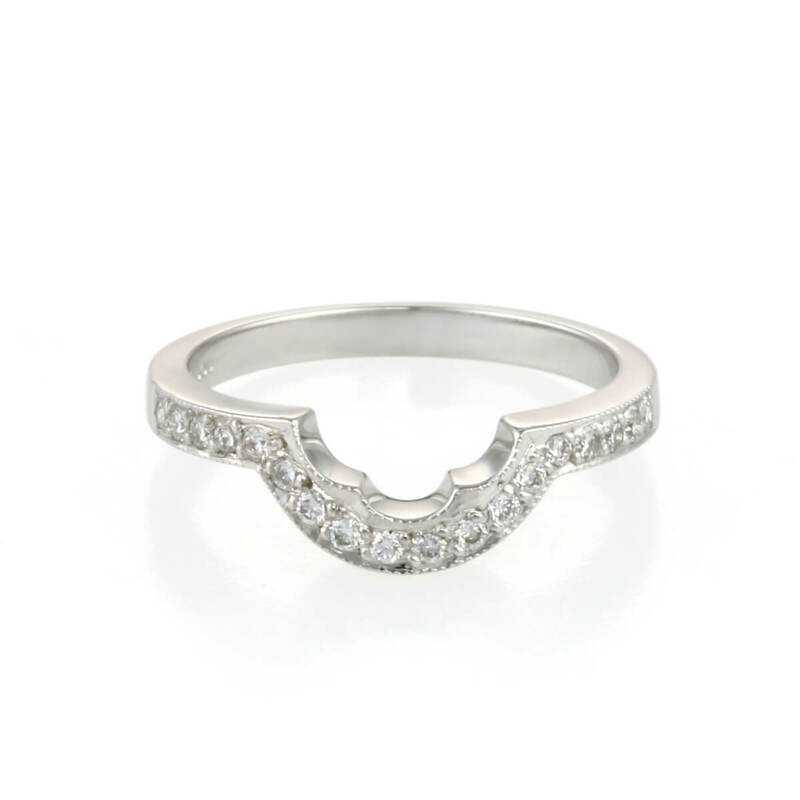 The ring is then polished by hand, the diamonds set and then the milgrain edge is applied.